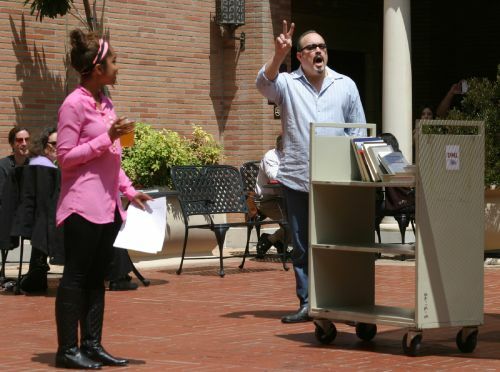 In an instant, Doheny Library's Nazarian Pavilion courtyard became the scene today of the first in a series of live, pop-up plays staged by the USC Libraries and USC School of Dramatic Arts Professor Oliver Mayer. 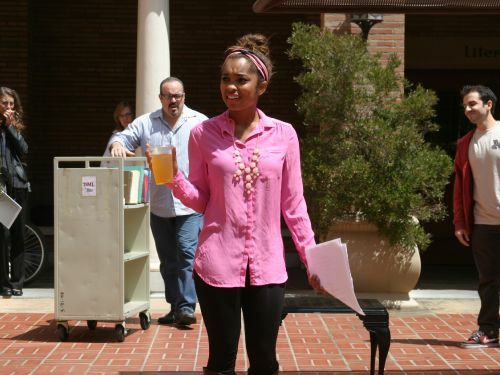 Directed by USC School of Dramatic Arts graduate Jonathan Munoz-Proulx, the performance featured USC student actors and captured the essential role of libraries in creative and intellectual discovery. 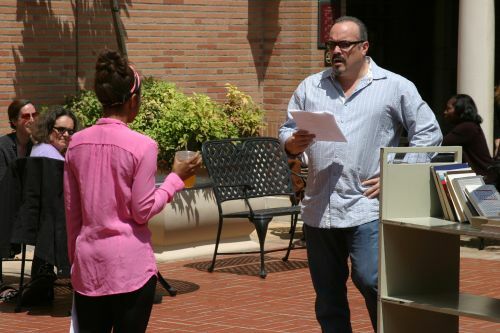 Guest star David Zayas played himself, touting the wealth of resources available at the USC Libraries. 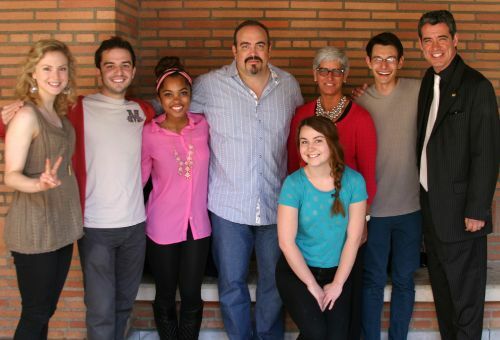 "Aren't you on TV," a student actor asked him in the flash play. "Aren't you on Dexter?". Skip the jump to see more photos.